1. Preheat the oven to 350F. Spray a baking dish with non-cook spray. 2. Prepare the ground beef with the onion. 3. After the meat is close to being complete, add the oil and soy sauce. Finish cooking until the meat reaches 165F. 4. Add the rice and simmer for 10 minutes. 5. Using a slotted spoon, scoop 1/4 cup of the mixture into the top portion of the leaf. Bend the harder part of the cabbage leaf up to the mixture. Fold the sides of the leaf towards the middle and the top of the leaf down. Set into the baking dish and repeat with all 9 leaves. 6. Drizzle the top of the leaves with soy sauce and sesame oil. Cook for 30 minutes. 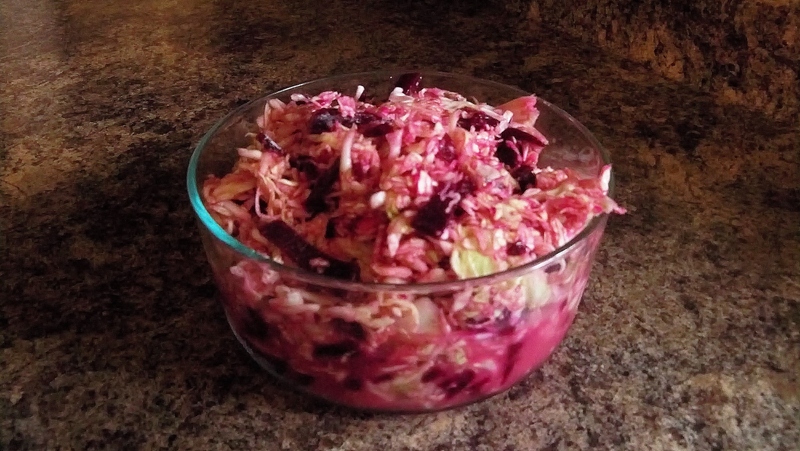 Looking for more things to do with cabbage? Here are some great sites! Bok Choy – have you ever cooked with it before? I haven’t but after getting a huge head of it in our CSA last week, I knew I was going to learn. After searching online I found a number of recipes for egg rolls using bok choy. We had some egg roll wrappers in the refrigerator from a different recipe I meant to make a few weeks ago (but never got around to…stupid board exam). I decided to make more of a pocket than an egg roll, because it would allow for more filling to fit into each nutritionally meaningless wrapper. It also made them more filling. They were super easy and super delicious! I prepared the filling in advance, which made it easier to work with, because when it is hot it is very runny. 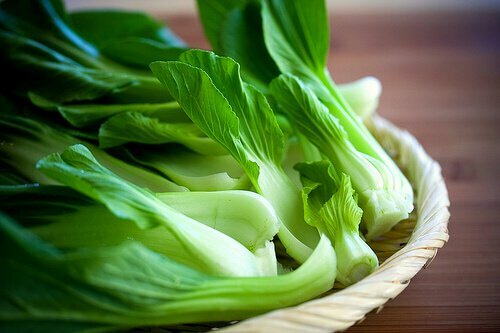 Prepare the bok choy by cutting and cleaning the leaves. You can use all the plant, including the stem. Chop into small pieces. Heat a non-stick skillet to medium and add the ground beef. Once the ground beef is 50% done, add the sesame oil, garlic, and bok choy. Stir and cook down until the leaves wilt and the beef is completely cooked. Add soy sauce and more sesame oil, if needed. Place the mixture in the refrigerator until you are going to assemble the pockets. Preheat oven to 350F and spray baking sheets with non-stick cooking spray. Place a wrapper on your prep surface. Using a slotted spoon, scoop 1 spoonful of mixture into the center of the wrapper. Fold up the bottom corner so the tip is in the middle of the pocket. Repeat on each side. Use a basting brush and water as needed to help the wrapper stick together. 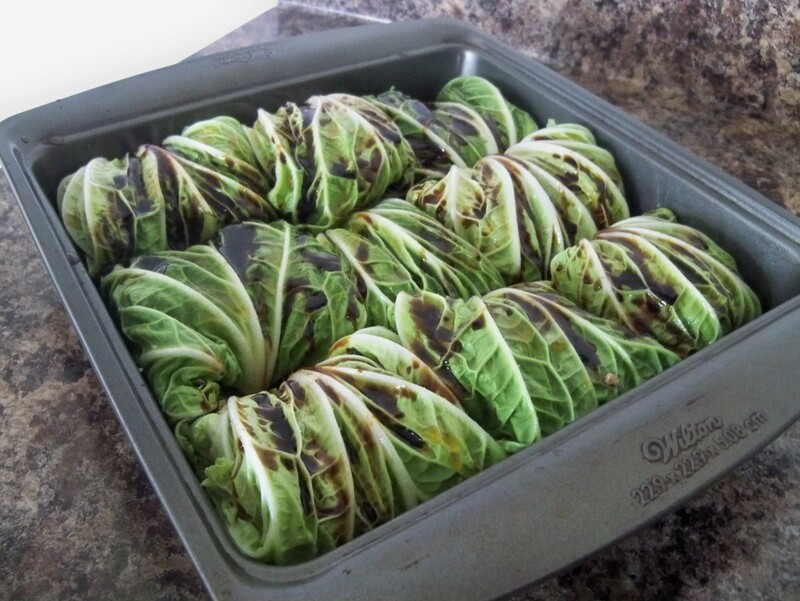 Place each pocket onto a prepared baking sheet with the folded sides up. You could coat them with egg using the basting brush if you’d like them to be more golden. B ake the pockets for 20-25 minutes. I turned mine after 15 minutes so both sides would be crispy and to prevent one side from burning. This did make them less pretty because the sauce from inside the pocket leaked a bit when the folded side was on the pan.